What Are the Differences Between a Commercial and Fleet Vehicle? You Are Here: Home > What Are the Differences Between a Commercial and Fleet Vehicle? Have you heard the terms ‘commercial vehicle’ and ‘fleet vehicle’, but aren’t exactly sure what vehicles they refer to? Royal Gate Dodge Chrysler Jeep Ram of Ellisville is here to clear up any confusion you may have. We’ll cover the basics of commercial and fleet vehicles, and show you how you can get behind the wheel of Chrysler, Dodge, Jeep, and Ram commercial or fleet vehicles. Commercial vehicles are used for transporting materials for a business, a group of passengers, or heavy-duty equipment. For instance, if you own an airport shuttle business or work on a construction site, you would select a commercial vehicle for your transportation needs. 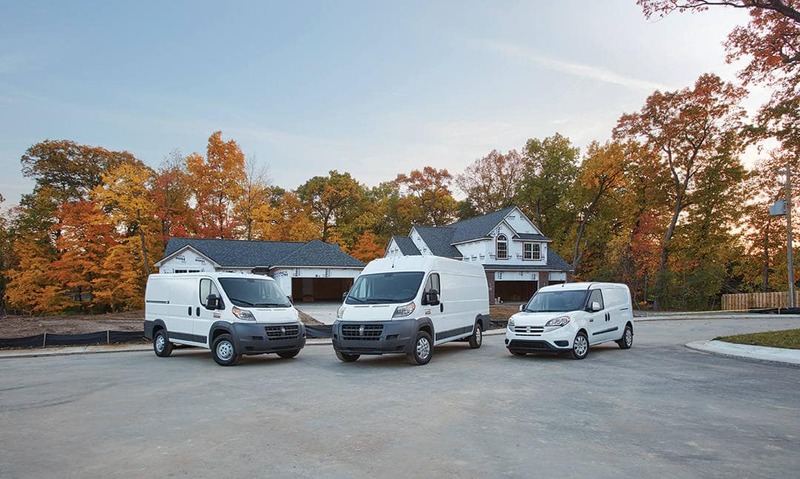 Our dealership in Ellisville, MO has a number of vehicles for commercial use, such as the Ram 2500 and Ram ProMaster If your business requires a commercial vehicle, check out the new commercial or used commercial vehicle inventory. We also have special offers to help you save on your next purchase. Fleet vehicles are a group of vehicles used and owned by a business or organization. They can be any type of vehicle, including cars, SUVs, and trucks, as long as they are not privately owned. Commercial vehicles are also considered fleet vehicles when they are used for a business or organization. Whether you need a fleet of Dodge Journey models or Ram 1500 models, you will find your fleet lineup at our Dodge Chrysler Jeep Ram dealership in Ellisville, MO. Check out the new and used vehicle inventory for available models. Don’t forget to check out our special offers to save on a new fleet. If you have additional questions about what a fleet vehicle means or commercial models, contact Royal Gate Dodge by sending a message or calling (636) 394-3400.